ESP Guitars has responded to Linkin Park member Mike Shinoda's remarks concerning the guitar brand and the band's upcoming album, One More Light. It all started when Shinoda spoke to All Things Loud about the sound of One More Light. The Linkin Park instrumentalist and vocalist addressed certain listeners' reviews of lead single “Heavy” and their expectation of the previously guitar-heavy Linkin Park aesthetic emerging on the new album. Here's ESP Guitars' full statement, as posted on their website. Okay, fair enough. 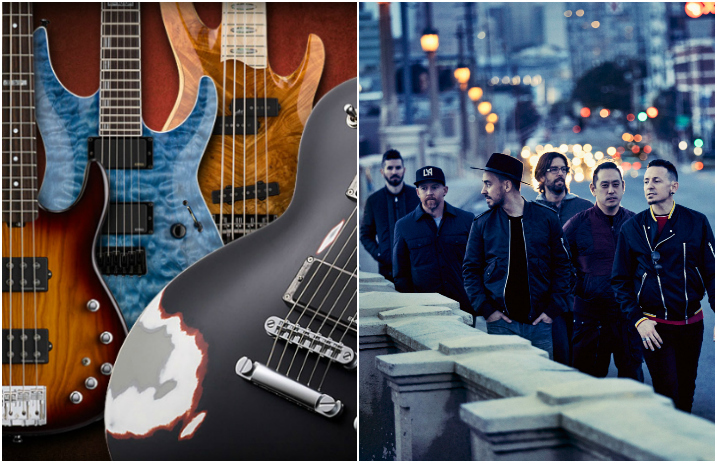 Once we realized what was being said, which was that ESP Guitars is the iconic representation of the powerful sound of heavy music, and that was exactly what people shouldn't expect from the new Linkin Park album, we got it. And then we checked out one of the songs from this album, and… yes. Yes indeed. Mike is correct; that is not the sound of ESP Guitars. Most definitely not.